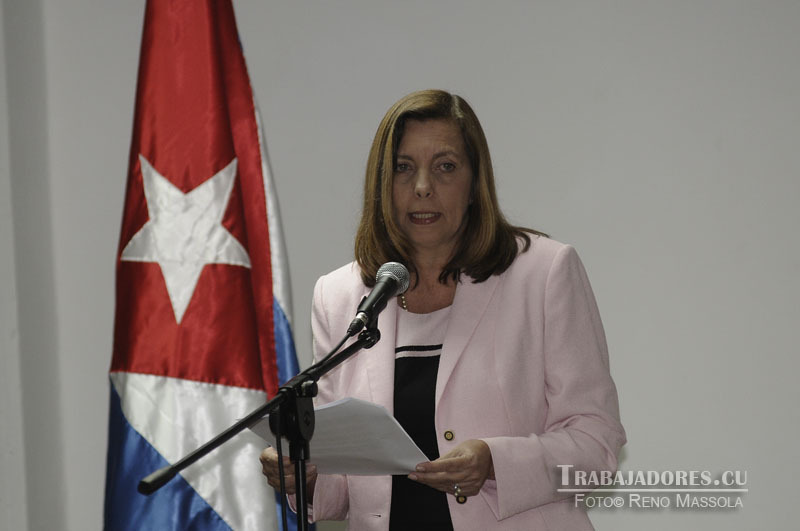 Havana.- The Director General of the Department of the United States at the Ministry of Foreign Affairs Josefina Vidal denounced today that the United States economic, commercial and financial blockade against Cuba continues to be applied rigorously. In her profile of the social network Twitter (@JosefinaVidalF), Vidal reported a new fine by the US executive to a company for doing business with Cuban counterparts, an action that confirms the permanence of that policy, imposed for more than half a century. The message shared in Spanish and English, leads to an official note of the Cuban Ministry, explaining the details of the latest sanction, the third one so far this year. This time, the penalized company is Halliburton, a company dedicated to providing services in oilfields. The penalty amounts to $304.706 USD and according to the report of the Office for Foreign Assets Control (OFAC) of the United States Treasury Department, it is a consequence of the trade relations between Halliburton and its subsidiaries in Cayman Islands and the Cuban company Cuba Petroleo (Cupet) from February to April 2011. During Obama administration (2009-2016) the fines for the violation of sanctions against Cuba and other countries is 49, higher than during any other presidential term. They total more than $14 billion USD. Esta entrada fue publicada en Cuba, Economía, English, Política y etiquetada Barack Obama, Blockade against Cuba, Cuba, CubaUSA, CubaVsBlockade, Josefina Vidal, USA. Guarda el enlace permanente.